Hello everybody, I just revieved this eyeliner in my mail from BornPrettyStore.com. When I opened the mail, I saw this cute eyeliner and wanted to share my thoughts with you guys. 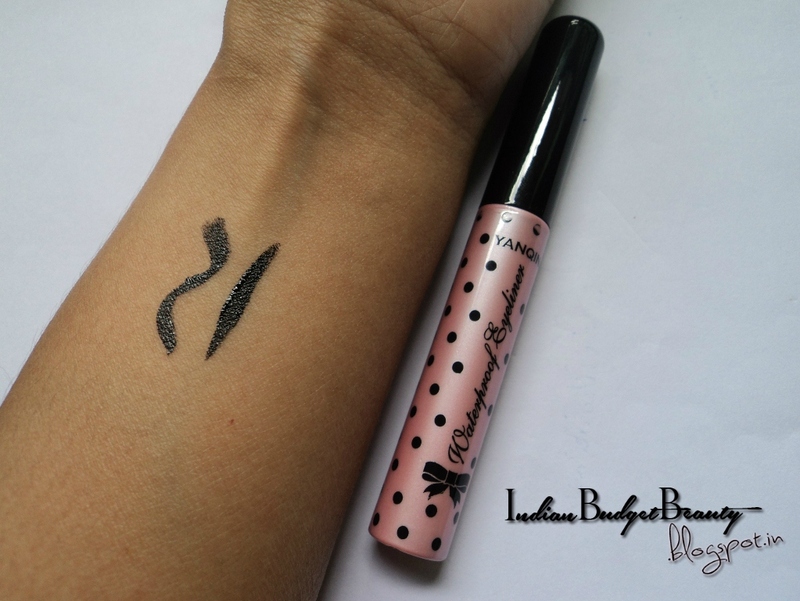 BornPrettyStore is a multi destination for affordable makeup, nail art, clothing and accesories. Here, you can get anything and everything under just couple of dollars. PACKAGING: I love the packaging. It's so cute. 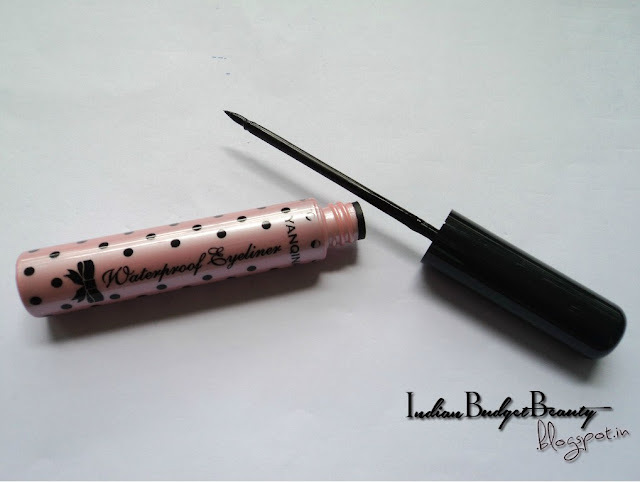 It has black polka dots and the color of the tube is baby pink. 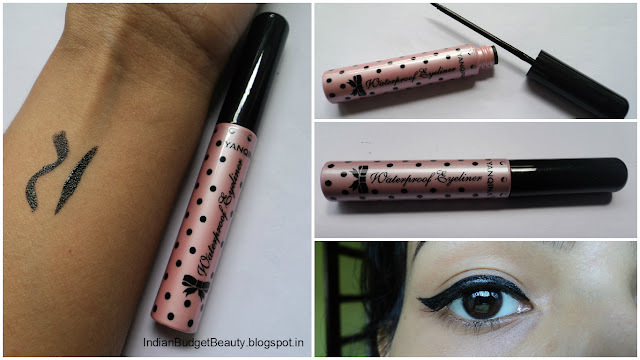 The want is long and has a felt tip applicator which is perfect for winged eyeliner look. The packaging is totally travel friendly. 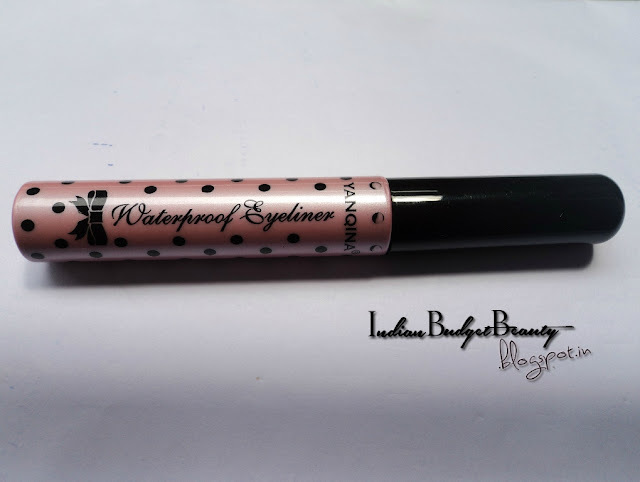 CLAIMS: It claims that the eyeliner is waterproof, but it is not! CONSISTENCY: The consistency is quite liquidy and it dries fast. It dries to a glossy finish. This is not the kind of eyeliner a matte lover will like. STAYING POWER: The staying power of this eyeliner is about 3 hours. It is not smudge proof and waterproof. 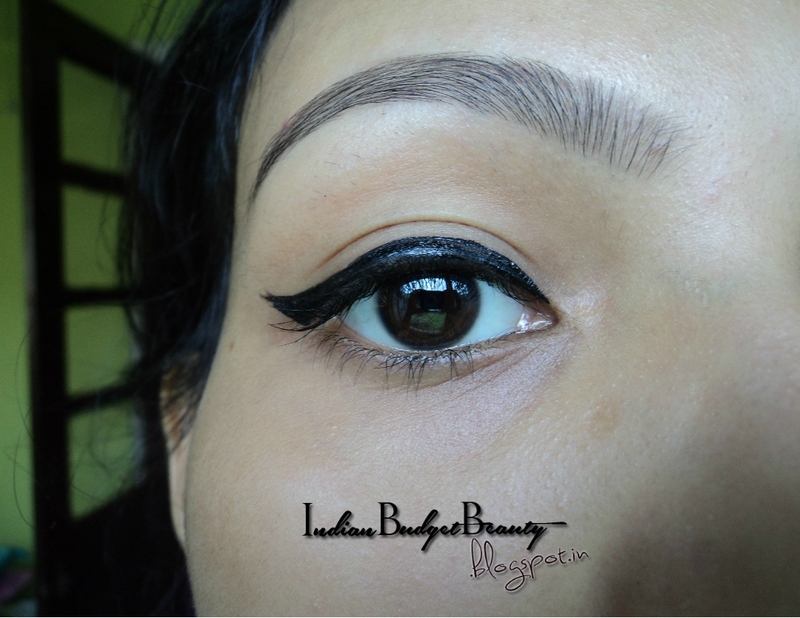 The liner though not deep has a nice glossy finish. Looks pretty. Packaging so cute. Liked it. look so pretty.